This fall, a great opportunity is coming to our church! Over 10,000 international students will arrive to study on Purdue campus. 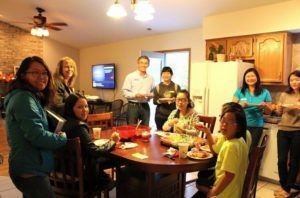 Our church is partnering with the International Friendship Program (IFP), to welcome students by hosting for the semester (getting together once a month) or a one-time matching. Please email friendship@purdue.edu to learn how to participate in this great outreach program.